Past history tells us that home sales in Northeast Florida perk up come springtime, just as the advent of colder weather brings a slowdown in Northeast Florida home sales. But what if your own family and professional situations dictate that now is the time to list your own Northeast Florida home? What if the weather curve balls Mother Nature has been serving up have to take a back seat to your own scheduling imperatives? 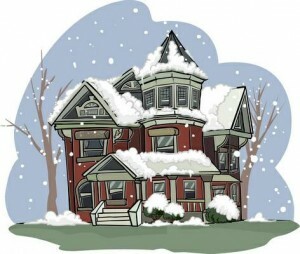 Instead of allowing the cold weather to burden your whole endeavor, try to bring a little home sales jujitsu into play. The classic Japanese defense tactic relies on using the strength and weight of an adversary to disable him. In the same way, you can turn inclement conditions to your advantage by recognizing that they can help your home stand out as a beckoning refuge. Think: the nastier the weather, the better! As soon as potential buyers walk in, do everything you can to help them feel the sense of comfort a substantial shelter like this provides. The object is for them to recognize that here is the kind of home they want to wake up to on cold mornings! Warmth is the starting point, so keep the temperature cozy (this is no time to fuss about the heating bill). If you have a fireplace, be sure it’s lit when visitors arrive. Fluffy comforters in the bedrooms and throw rugs that break up large areas of bare flooring will add, too. Further the effect with cups of warm cocoa, apple cider, tea or coffee that will warm buyers from the inside. It’s relatively easy to control the interior of your house by turning up the heat. Outside, though, you’re at the mercy of Mother Nature. Clear pathways, and pay special attention to any surfaces that might become slippery when the weather conspires against you. It’s especially important to clear the driveway, stone paths, sidewalks, and anywhere else buyers may want to inspect or visit. A clear path can be the difference between getting an offer…and getting sued! Scads of homeowners buy the myth that Northeast Florida home sales are next to impossible to accomplish during wintertime. That’s why many—even some whose homes have been listed since autumn—fail to energetically market their homes until the weather clears (sometimes even failing to respond to home tour requests). That gives you a competitive advantage—and another jujitsu opening. Since prospects doing a Northeast Florida house tour will be less hurried than usual, your Realtor should be ready to spend more time with them to share persuasive points that make your property the standout value they’ve been after! Sure, home sales during the shiver-producing months presents particular challenges, but the hidden advantages can be decisive. If you have been ready to sell, but hesitating until kinder weather surfaces, do give me a call!